The lot in front of the centre will be used for a multipurpose court and is to be fenced once funds are acquired. The Davy Hill community finally has a central location where they can meet and learn. On Sunday, March 26, 2017 residents, community leaders and members of government gathered to celebrate the opening of the centre, funded through the Basic Needs Trust Fund (BNTF). Teona Aymer, President of the Davy Hilly Action Group said over the years they have had to hold community meetings in churches, restaurants, supermarkets and even under a cedar tree. The centre, she said, was the manifestation of many years of teamwork by residents who helped to raise funds and pushed government and BNTF for the building to be completed. 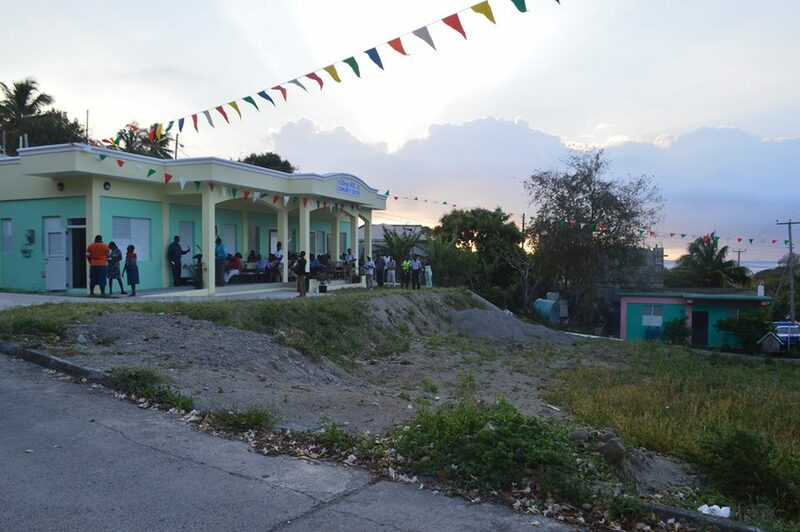 Mervin Browne, Project Manager and local head of the BNTF said his organisation, which is funded by the Caribbean Development Bank (CDB), was pleased to facilitate the project which began in October 2014. Although it faced several setbacks, he said the BNTF was pleased to hand over the centre to the people of Davy Hill to be an avenue for social, recreational and educational activities. 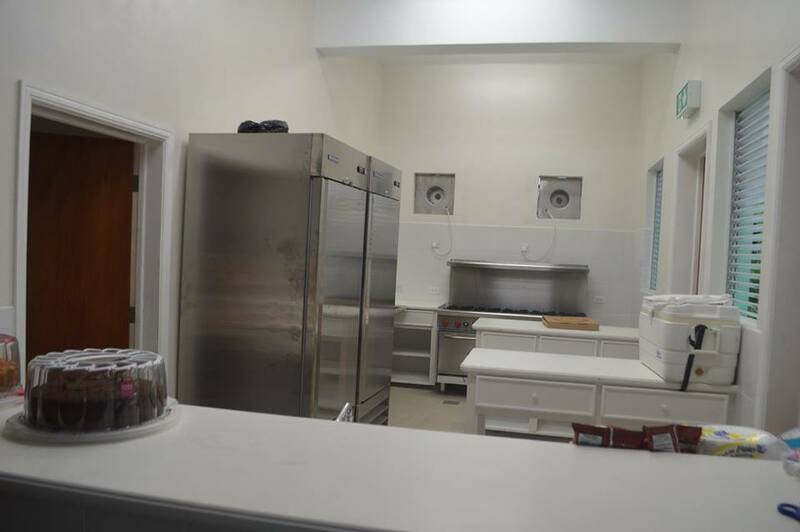 BNTF, which focuses on poverty reduction programmes in the Caribbean, hopes the facility can also host skills training that lead to micro enterprises for residents. The centre has 1900 square feet of usable space which includes a computer room, kitchen, office and restrooms. BNTF will also be funding baking and agro-processing classes as part of the project. The Ministry of Education, Browne added, plans to use the centre for youth empowerment programmes. Before the project cycle closes in June, BNTF has also committed to host training in management of community resources. The entire project cost EC$500,000. Emile Duberry said at the handover ceremony that the vision is to develop a play area for the young people. The lot in front of the centre is designated for a multi-purpose court which is to be fenced in. The estimated cost is E$250,000, which they will need to source. Hon. Parliamentary Secretary Gregory Willock said he will put pressure on his government to ensure the court is built. He also has a billiards table to donate to the centre once a space is allocated for it. Kitchen of the community centre funded and project managed by the BNTF. Hon. Premier Donaldson Romeo, who cut the ribbon on the building said “good things come to those who wait.” He said he was especially moved at the occasion, understanding how the community came to be. Davy Hill comprises many displaced by the volcano. Many lived in shelters where the centre now stands for years before permanent housing was constructed. Romeo commended the Davy Hill Action Group for the initiative to see it completed. He paid tribute to the late Denise Philips, who was a part of the planning and drive to see the centre built. 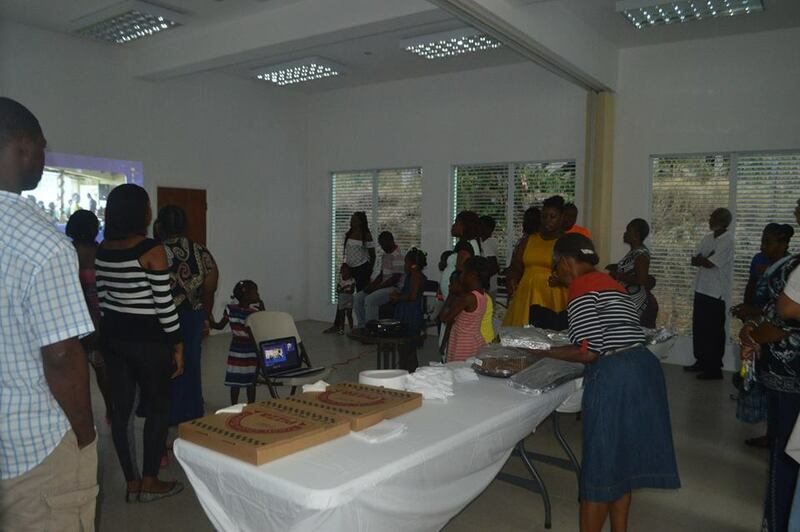 He also acknowledged radio personality and community leader Rose Willock, who assisted with the formation of the organization. The Red Cross were also singled out for their community work. They will be helping to build pedestrian crossing with sidewalks shortly. The premier said the facility was “a good start but a lot more” needed to be done. Along with a play area for children, there was space for another floor. He said future plans would be designed with the input of the community to ensure it meets their needs. The premier encouraged them to play their part in maintaining the property. Also contributing to the ceremony was Leader of the Opposition Hon. Easton Taylor-Farrell, who while in government helped the group acquire the land. The centre he remarked will change the landscape of the community and create hope. He also encouraged government to find the funds to finish the project.